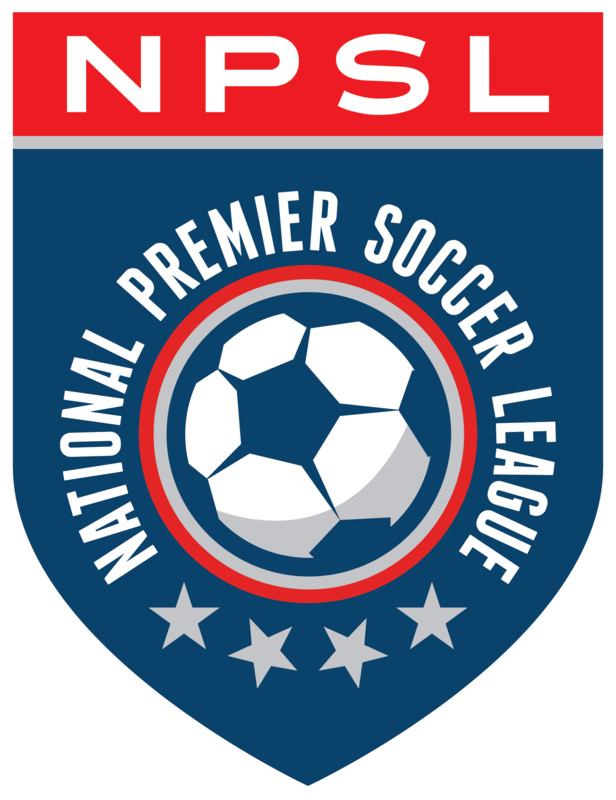 Four NPSL teams have advanced to the Lamar Hunt U.S. Open Cup Third Round with victories on Wednesday night. The Third Round features the 24 winners from the Second Round playing each other with the winners advancing to face MLS clubs in the Fourth Round. U.S. Soccer will conduct the Fourth Round Draw for the 2018 Lamar Hunt U.S. Open Cup on Thursday, May 24 at Soccer House in Chicago. The Fourth Round is scheduled to be played June 6. Two rounds of the 2018 Lamar Hunt U.S. Open Cup have seen Elm City Express take down two Premier Development League sides on the road. A week after seeing off perennial PDL power Western Mass Pioneers, the Connecticut club traveled back to Massachusetts for an encounter with Seacoast United Phantoms. Just like last week, Shaquille Saunchez opened the scoring for the visitors in the 80th minute and as the hosts pushed forward for a late equalizer, added his second of the match and third of tournament to seal the 2-0 victory for the NPSL side. Elm City Express moves on to a Third Round date at USL side Charleston Battery on Wednesday, May 23. Severe weather delayed kickoff for over an hour, but it didn’t take away Jacksonville Armada FC’s appetite for victory, as the NPSL side outlasted Tampa Bay Rowdies 1-0 at Southern Oak Stadium. An even first half gave way to the game’s only goal just before the hour mark, as a build-up down the left gave Armada attacker J.C. Banks an open look at goal. The son of 1990 U.S. World Cup defender Jimmy Banks made no mistake in slotting a low effort inside the left post in the 58th minute. Pushing for an equalizer, Tampa Bay almost pulled level, but saw Zac Portillos’ 71st minute effort clang off the crossbar before Armada FC closed out the victory. With the win, Jacksonville advances to the Third Round where they’ll host Miami United FC on Wednesday, May 23. Miami FC, quarterfinalists in last year’s Open Cup, hosted Miami United FC in a Miami derby dubbed the “Magic City Clasico.” Dylan Mares provided a strong start for the hosts when he powered in a half volley to put Miami FC on top in the 17th minute. But in first half stoppage time, his teammate Kristopher Tyrpak was shown a straight red card for an off the ball foul and everything changed. Miami United took control of the match early in the second half; David Ochoa leveled five minutes after the interval. Three minutes later, Ochoa scored again, and United was over the hills and far away. Miami FC goalkeeper Daniel Vega gave the hosts a fighting chance with several great stops in the second half. But United’s Victor Pelae scored in second half stoppage to send the visiting “La 12 United” supporters into a frenzy as Miami United wrapped up the 3-1 win. Miami United travels to Jacksonville to face the Armada in the Third Round. Three separate times FC Wichita trailed on Wednesday night. But on each occasion, Wichita answered the call. FC Wichita overcame three deficits to stun Tulsa Roughnecks FC, 4-3, in the Second Round of the U.S. Open Cup. After a first half that saw Tulsa emerge with a 2-1 advantage, Franck Tayou put FC Wichita back on level terms in the 48th minute. The two sides traded goals in the 52nd and 60th minute before Tayou scored one of the goals of the tournament thus far. With the score locked at three goals apiece in second-half stoppage time, the striker pulled down a deep cross in the box, pushed it away from the keeper, and snuck in a shot from an impossible angle for the winner. Tayou ripped his jersey off in celebration, his heroics clinching the upset and a date with NTX Rayados in the Third Round next Wednesday. Faced with a one-goal deficit on the road entering the final 11 minutes, Penn FC struck three times to seal a comeback victory at Ranger Stadium on the campus of Drew University in Madison, N.J. Miguel Jaime equalized in the 79th minute before Prince Baffoe put the Pennsylvania side into the lead a minute later. One minute into stoppage time, Pedro Fidalgo Galvão added an insurance tally. Former MLS midfielder Dilly Duka, the hero of FC Motown’s first-round win, scored in the 54th minute when Chris Katona intercepted and fed Duka, who worked his way into the penalty area and drilled a shot into the far side netting. Penn FC will meet Richmond Kickers (USL) in the Third Round on Wednesday, May 23. The upstarts from Detroit City FC made last year’s professional Cinderellas sweat, but FC Cincinnati’s quality shined through in extra time as the hosts pulled away for a 4-1 victory. The amateurs struck first in the 31st minute when Danny Deakin found Shawn Lawson on the counter wide open in front of net. The advantage did not last, however, as FC Cincinnati responded just four minutes later on an Emery Welshman header. The two sides remained level for the rest of regulation before FC Cincinnati fired home two goals in five minutes of the first period of extra time to put the game to rest. Corben Bone got the first, followed by a screamer from Welshman to bag his brace. Welshman completed his hat trick in the second period of extra time, beating the Detroit City FC ‘keeper far post on a counterattack. FC Cincinnati moves on to face Pittsburgh Riverhounds SC in the Third Round of the 2018 U.S. Open Cup. In a Music City derby, it was all Nashville SC (USL), taking down the NPSL’s Inter Nashville FC 2-0. A brace from Tucker Hume separated the squads on the scoresheet, but SC dominated attacking opportunities from the start and claimed a victory in its first-ever Open Cup match. Upstart amateur Mississippi Brilla awaits Nashville SC in the Third Round on May 23 in a Southeast Region showdown. Kadeem Dacres and Corey Hertzog tallied in the opening half as Saint Louis FC blanked Duluth FC, 2-0, at Public Schools Stadium in Duluth, Minn. Dacres lifted the visitors into the lead in the 25th minute before setting up Hertzog as Saint Louis FC doubled its advantage 10 minutes later. Saint Louis FC will play fellow USL side Louisville City FC at Lynn Stadium in Louisville, Ky. in the Third Round on Wednesday, May 23 at 7 p.m. ET. With assistant coach and former Welsh international Robert Earnshaw manning the touchline, Fresno FC of the United Soccer League (USL) scored two overtime goals to slip past Orange County FC at Clovis High School’s Lamonica Stadium. The teams played a scoreless 90 minutes, but Terran Campbell’s goal off an assist from Jose Cuevas gave Fresno FC a lead in the 95thminute. Campbell then provided the helper for Renato Bustamante to add an insurance goal in the 118th minute as the Foxes earned their first Lamar Hunt U.S. Open Cup victory and a matchup against Sporting AZ FC in the Third Round on May 23.